Malaysian driver, Jazeman Jaafar, heads off to Misano in Italy to make his debut in the Blancpain Sprint Series, the first weekend in the five round championship. Jazeman will be piloting one of HTP Motorsport’s Mercedes AMG GT3 race cars, sharing driving duties with Austrian driver, Clemens Schmid, in the two one-hour sprint races at the Italian circuit. Jazeman heads off to Misano in Italy to make his debut in the Blancpain Sprint Series, the first weekend in the five round championship. 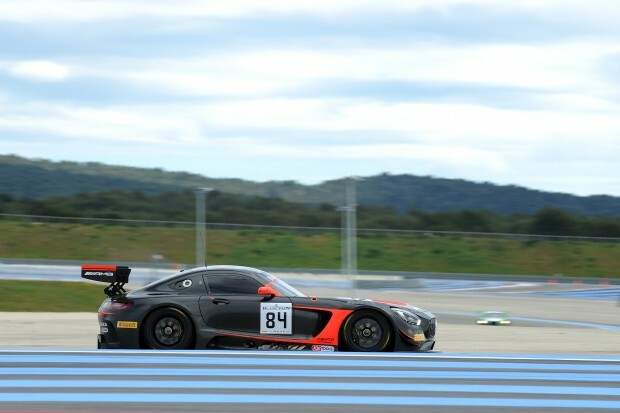 Jazeman will be piloting one of HTP Motorsport’s Mercedes AMG GT3 race cars, sharing driving duties with Austrian driver, Clemens Schmid, in the two one-hour sprint races at the Italian circuit. After a highly successful single-seater career, Jazeman focuses on sportscars for 2016, contesting the Blancpain Sprint Series and the Blancpain Endurance Series in an action-packed season of racing. Action in Misano starts on Friday afternoon with the first free practice, followed by the second free practice session on Friday evening. Saturday sees Qualifying in the early afternoon, with the start of the Qualifying Race just before 9 pm. The Main Race will get underway at 2.15 pm on Sunday afternoon.